Local wine products, that define the largest part in country's non-oil export potential, are strengthening its position in the current markets abroad as well as striving for new ones. Distinguished by its quality, Azerbaijani wines are in demand in Chinese markets. Azerbaijani wines received the highest award at the International Wine Challenge in June 2018 in Shanghai. At present, Azerbaijan's wine houses are operating in China, in Urumqi and Shanghai cities. The first Azerbaijan’s Wine House opened in Urumqi in September 2018, the second one in Shanghai on November 8, 2018. It should be noted that Ministry of Economy and the Azerbaijan Export and Investment Promotion Foundation (AZPROMO) organized the first export mission of this year to Beijing, China on 25 February-1 March. The mission included 16 Azerbaijani companies operating in the field of food, wine and other alcoholic drinks. Since March 1, the sale of Azerbaijani wines has already been launched in China's BHG markets. This year, the Ministry of Economy is planning to organize three more export missions to China. 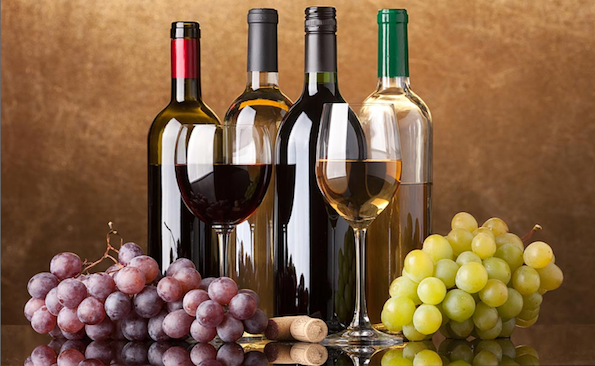 In order to ensure sustainable development of winemaking in the country, increasing interest in wine production and exports, the State Program on the development of wine growing in the Republic of Azerbaijan in 2018-2025 has been approved in May 2018, which will lead to development of wine tourism and increase the amount of loans allocated to the wine industry in Azerbaijan. Azerbaijan Wine Manufacturers and Exporters Association was established to coordinate activities between producers and exporters of wine and winery products with the support of the AZPROMO in 2016. Currently, about 40 winemaking enterprises operate in Azerbaijan producing natural wine, sparkling wine, liqueur, brandy, vodka, ethyl alcohol, cognac and etc. As an example of recent success, the winners of the "Prodexpo International Wine Competition and Guide" contest were wines from Goygol Wine Plant - "Karabakh Chardonnay" gold, "Karabakh saperavi" silver, "Karabakh rose" bronze medal. Recently, local wine products have been featured at Prowein 2019 international exhibition in Germany, the world's leading trade fair for wine and spirits. Azerbaijani wines are welcomed by exhibitors and companies. As a result of the discussions, Absheron Wine Company has already reached a preliminary agreement on exporting its products to Germany. Moreover, Naiqin Co-Tovuz Baltiya and Aspi Agro companies held talks on export its products to Germany, France and the Netherlands, while Sharg Ulduzu and Agro-Azerinvest to Norway, Germany and China. Meanwhile, Azerbaijan plans to develop the first wine tourist route in the history of Azerbaijan by mid-2019. A new highly specialized tourist route will pass through the wineries of Azerbaijan, Absheron, Ismayilli, Shirvan, Gabala, Sheki and Goygol regions. Tourism experts intend to pave the route in such a way that within a few days foreigners would be taken from one region to another, giving them the opportunity to visit wineries where the legendary Azerbaijani alcoholic beverages are produced. In addition, tourists will get the opportunity to personally taste wine drinks. Then, Azerbaijan intends to connect it with the famous Georgian wine route, paving the way for tourists from Sheki to Kakheti, Georgian region.